Mar 1 Treasures: Kangaroo Care. I have a series of posts I call Treasures: Introducing people who do or make stuff more people should know about. I don't remember how I stumbled across Kangaroo Care, but it was a while ago; and I decided then that when I was having another baby, I would shop there. 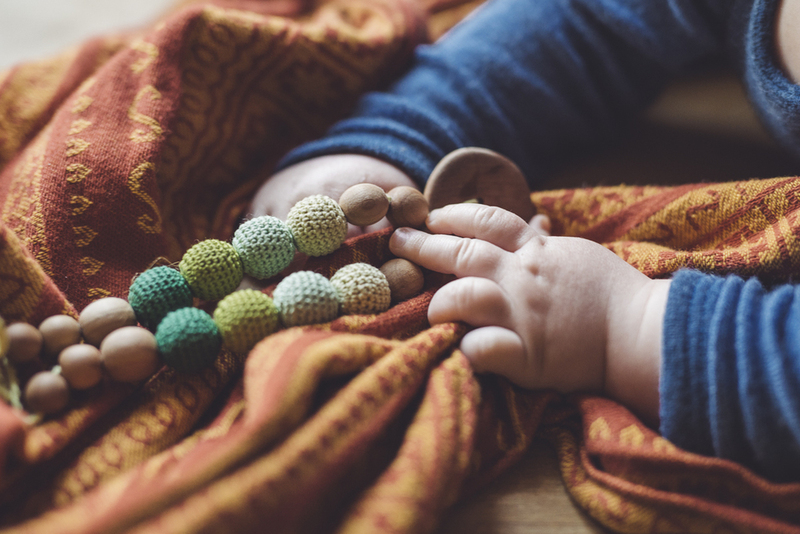 Varja is from Estonia, the mother of three, and she makes the loveliest handmade breastfeeding & babywearing necklaces and bracelets out of crochet covered wooden beads and plain wooden beads. Not only are they gorgeous to look at, all natural, but they are also really practical. Little fingers love playing with the beads, and little gums can safely chew on them, without fear of bad chemicals or that they should come loose. No more pinching your nose and pulling your hair while feeding or carrying your babe! Visit her website here: www.kangaroocare.eu or her Etsy shop here. Modelled by my friend Mari, her babe Syver, and my little Wolfie. Mar 6 So much it hurts.